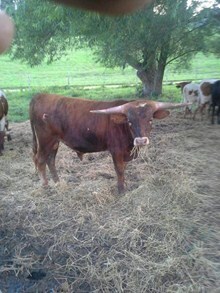 Beautiful brindle color with some terrific horn growth. 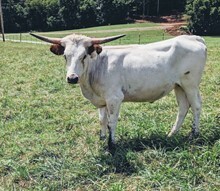 The queen of our pasture. Strong genetics from a son of JP Rio Grande, Betcha A Grande.